What are the health benefits of knitting that you experience? Click here to visit our collection of stress reducing knitting patterns! Hi! It’s always good to read articles supporting the fact that knitting is good for us! You may be interested in a book I wrote last year ‘The Blanket Book’ which supports therapeutic knitting and contains some simple patterns people can follow – beginner knitters and the more experienced. If you’d like to know more have a look at my website: http://www.theblanketbook.co.uk and FB page I’d love to tell you more. I’ve enjoyed knitting from a very early age and I’m still knitting at the age of 63 now in my retirement. I’ve always enjoyed the challenge of a new pattern and have recently completed a shawl for my mother, I have to say it was the most complex pattern I have ever knitted, better than any crossword or Suduko puzzle to keep the brain active !! I enjoyed reading your report it was very interesting. I believe there is truth in what you have written, but would like to add that crocheting provides me with all the same benefits. I enjoy both crafts and find crocheting to be just as satisfying as knitting, possibly more so. Different textures and projects are possible with crocheting, such as edgings, or things made with thread. Variety is the spice of life! Several years ago I was laid off from my job of 20+ years. It was a difficult time for me since my job had always been the one constant in my life that I could really depend on in good and bad times. I have been knitting for over 50yrs, so it’s always been a part of my life, but at that time it became something that got me through those first weeks of being without my job. It brought me confort and kept me from feeling sorry for myself. I put the extra time I had to good use and it gave me a purpose. Learning to knit when I was eight years old has been one of the best things I ever did! Knitting has been a life-long friend and continues to be!!! I learned to knit when I was 7 and now at 20 I am still knitting and love it! 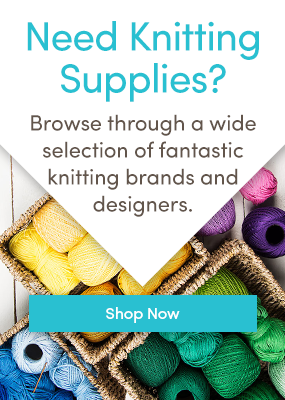 Eventually, I wanted to stop knitting only for myself so me and my sisters opened an Etsy shop and things took off from there! I started knitting at 5 years old I am still knitting and crocheting at the age of 76 years old I am at the momont knitting for great grand children and crocheting for two knew ones due soon . I must have a bit of knitting on or I would go mad .i have been married 60years this year and having four sons 11 grand children and 7 great grand children kept me busy . I was taught to knit aged 3yrs, I’ve been knitting for 81 years, and do knitting every day for several hours. Mainly for overseas charities. I love it. My grandmother taught me how to crochet rag rugs. I then taught my fourth graders to make rag rugs when we had the pioneer unit. I had a small table in the room that they could do that when they finished their work. . Even the boys liked to do it. I am now 92 still crocheting. My husband always said buying yard was better than pills. Iwas so interested to read your report. I have knitted since I was 7 years old and have knitted for my 4 children 6 Grandchildren and 2 great grandchildren and hope to carry on .Recently at a drop in centre at our church we were asked to knit premature baby hats for the local hospital. This venture was so popular with the ladies that after this request was saturated we carried on knitting for other charities.Over our clicking needles we found it so much easier to talk to each other and more importantly listen.So carry on knitting I say .We eagerly await a gentleman knitter. I have knitted many garments over my 78 years. I always used my hobby as a relaxation after a very busy day’s work or while sitting at my husband’s bedside on his many hospital stays. I certainly put in on the top of the list of what needed to be in my bag if I had a hospital stay or appointment. I now enjoy producing one off garments, putting together parts of many patterns and styles I have made in the past. My craft is a wonderful way of passing time in the cold winter days and evenings, and someone benefits from the article produced. I also know no one has a replica of the garment! Knitting as therapy. I think we all do things in our lives that make us feel good without really knowing why. Sometimes it’s good to know why. I was taught to knit at about 7 by my mum, did a bit now and then, nothing much. I’m now 45 and found during a severe period of stress and anxiety last year that I ‘needed’ to knit. I picked up my needles after years, and I’m sure the knitting really helped my recovery. I think it’s because I can’t worry and stress and concentrate on knitting. All I know for sure is after knitting I feel calmer and much better to solve any issues. And I have produced some lovely pieces to give away. It’s like giving away my troubles, having turned them into something beautiful! Win win! That’s wonderful news ! Delighted for you !! I love my knitting too – so relaxing !! ? Almost the same story for me, I am so glad I have my knitting, however, my knitting machine has the absolutely opposite effect on me, so staying away from that for while. Great article, now if my partner would just learn we’d be in heaven! I have found that knitting has actually helped strengthen the muscles in my fingers and hands…. As someone who suffers from a connective tissue disorder that leads to early onset arthritis it has been invaluable…. It also has a therapeutic effect as my enforced rest periods dont feel like wasted time when i have so many knitting projects on the go!… Thank you knitting!!! I have had arthritis for over 60 years and find that knitting helps keep the hands limber although not as well as it used to. When I am into my knitting, it cuts down significantly on my snacking. If my hands are busy with the knitting, I don’t want to stop to get up and get a snack! My Grandmother taught me to knit and I have always knitted for pleasure. A few years ago my son had a ‘life changing accident’ he was sixteen and needed to be in hospital for a very long time were I had the pleasure of teaching him to knit, it proved to be very good therapy for him and me, and produced one of the longest scarf’s ever ! In 2006 my beautiful brother died suddenly in a fire, he was only two years older than me. It was a big shock for me but what I did was starting knitting all day every day until in September of 2009 my father passed away out of a heart attack. I gave my last piece of knitted sweater to his girlfriend, it was to be my fathers Christmas present that year and since then I haven’t done any knitting but I have made some drastic changes in my life instead. 2010 I packed my bags and took my husband and three daughters and we moved from Iceland to Australia, not knowing anything about the land or people but I believe the knitting helped me keep it together after my brother died until I was ready to save myself. Hi, I’ve always wanted to do some craft work except sewing. At school I enjoyed embroidery, being taught to knit. I was shown how to crochet when I started work as my boss and the deputy both loved crochet and when my children were babies I knitted lots of pretty cardigans, bootees etc for them but haven’t done any for years. Oh I have the needles wool etc, but as soon as I attempt to start anything, I am mocked by my nearest and dearest to the point that I give up. I feel so belittled that I feel that anything I try to do has to be done in secret. Part of me wants to tell them all to ‘get lost’ while at the at the same time I wonder if I am being unrealistic about my abilities. I’m 62 now. It is so sad that wanting to have a hobby knitting is derided within your house. Is there a knitting group near where you live. I’m sure you would get help, support and positivity in whatever project you tackle. 62 is certainly not too late to restart. This year’s campaign just finished in December but many of us knit hats all through the year in readiness for when we can next send them in. It would get you back into knitting and help the elderly community at the same time, and your loved ones would look bad for mocking your charity efforts. I am sorry that happened to you each one of us is a worthwhile individual. If I did not believe that I don’t know what I would do I have had 13 major surgeries since the year 2000 and many before that. My first major surgery was it 1945 and yes I got teased a lot growing up but now my attitude is I do my best and if you don’t like it that’s your problem not mine. If your nearest and dearest does not appreciate what you do find somebody that does like things that are handmade and make Christmas and birthday gifts for them and ask your nearest and dearest what they have done that was creative lately. It’s easy to go to a store and buy a couple of things but the gift of time is something that cannot be bought you might sell something that you made but you never make more than $.25 and $.30 an hour you do it because you like creating . I do all types of needlework and painting and photography and that has got me through a lot of tough spots. I worked until two years after they insisted that I should quit for my health. Maybe you’re nearest and dearest are jealous because they are not creative keep up what you love and if they laugh laugh with them and say I’m so glad did you find the joy that I find in creating just pretend you don’t understand that it’s an insult. Love the article ,just re-enforces what i have thought for years .My father taught me to knit with 6 inch nails and string in the cornfield where he was working and stopped for his tea break i had delivered to him .I am still knitting ,not with string ,making baby clothes for the local prem baby unit I am now 77 by the way . My late mother and I both had a serious health issue- severe osteoarthritis of the finger joints (as well as other places…) and, while she said she was never able to teach me to knit, I taught myself, and I became quite proficient. I also LOVED it!! I had to give up for about 10 years when I developed elbow pain when knitting, but I kept trying every so often, till I was again able to knit. JOY!! Strangely, while my mother was unable to continue to knit wothout pain, she could easily do quite fine crochet till she passed away, and it was a great comfort to her in her latter years. Now that I am dealing with wide spread osteo plus psoriatic arthritis,I adore knitting but crochet hurts MY fingers!! I recently asked my rheumatologist if it was OK for me to continue knitting, and she said a definite YES (apparently it helps to exercise the joints). So, apart from being good for my heart and soul, it is also good for my body. This may or may not apply to your situation, but I used to get elbow pain when I knitted. A friend suggested I give up the straight needles and knit with circulars, and lo, and behold if that didn’t eliminate the elbow pain! See if that might help you, too. God Bless! Just getting back into knitting for nephew 9 months and niece almost 6 I’m having fun and Zoe loves to pick her own colour and pattern. She said she wanted one like mine No not the colour but cable patyterns – this could take some time! Also she wants me to teach her to knit – at the moment she is working the needle while I move the yarn! So enjoyed reading this article. My mum taught me to knit when I was 6. I am now 61 and had to give up work nearly 2 years ago because of a disability and boy has knitting been my saviour as some days I can’t leave home. I knit mostly baby clothes. Some for friends and some for a local maternity hospital. It gives me pleasure and keeps me sane. So folks keep knitting. It is so encouraging to read all your letters of how knitting is giving you all so much pleasure, at the same time stimulating the brain . This is not only exercising your joints it is also a wonderful way of keeping the inner artist activated. Choosing style and colour of any project is an achievment in itself whether be it squares, cardigans, hats or baby clothes, just think ! your designing your master piece. Well done to you all. We are starting a knit & natter group , including crochet for beginners. With the intentions of grouping crafters together eventually, the experienced passing on their know how to others, so wish us bon chance. Any ideas gratefully recieved. Knitted cushion covers are great for a knit and natter group to do.Any colour ,any stitchand it goes on for a long time if you do both sides with an overlap .Happy knitting. Oh, this is absolutely delightful! Reading about all the knitters and the pure joy! I’ve been knitting for almost 40 years (also started when I was about 9) and I haven’t stopped. This might sound a little crazy but many a time, when stuck in crazy traffic or when I feel stressed out, I would just take a deep breath and THINK about knitting. I’d just imagine knitting up something, picture beautiful wool and textures or think about a project I’m busy with at home, and voila! I’d feel a lot calmer, much more relaxed and ready to face the world again. It’s definitely my happy place! I have loved knitting for many years. My mother initially taught me to knit but I never carried on with it. I eventually took it up again when I had my two daughters I am now knitting for my grandchildren and I love it. It is relaxing and as has been said it also stops me snacking between meals. My granddaughter asked me to teach her which I have done but she seems to have given up. I hope that she will eventually go back to it, she is 13 years old. I hope to carry on for many years to come I am now 71 years old. I had my 87th birthday last week and am still knitting. I started aged 9 taught by my Mum at the start of World War 2 when wool was unavailable so one had to use what was known as yarn. Having moved a few months ago to a small flat in order to be closer to my son I am living alone for the first time and spend a lot of time knitting for the family as well as for myself. I do this while watching TV or listening to the radio so feel I haven’t been wasting my time and have something to show at the end. I also learned during World War II and lived on a farm and we had sheep. A neighbor knew how to spin yarn so we would trade wrong wall for finished yard and both families had enough yarn for their needs. Working together it is amazing that you can accomplished so she has free wool and we had free yarn. During that time there was resting and many times kids would go up and move away because they were not very many jobs in our village so we would trade food for some labor because there was never enough ration stamps for a family my brother fought in World War II so there were only four of us and we raised all of our own food and really only need to ration stamps for flour and sugar and table salt for us and rock salt for the animals. My grandmother taught me to knit when I was 7 years old. We would sit in the kitchen in front of the wood stove on cold winter nights and we would knit and chat. I am now 62 and recently retired. I have to say that knitting is a wonderful relaxing pastime and there are so many beautiful yarns to choose from these days that inspire me to try new projects. Last year at age. 88, I had a stroke and when I came home I was very upset as I just could not knit,I tried and tried unpicking and re knitting,nearly gave up but at last I could do it , and have made many things since,I don’t know what I would do if I can’t knit. Knitting is definitely my happy place!!! Truly have enjoyed reading the many posted comments. I’m mostly self-taught (my Mom always had mittens on the needle as I was growing up) and have had the pleasure to also teach this wonderful craft. I have been blessed to have a knitting circle that has lasted about 20 years, meeting once a week.The ladies in this group are awesome and have created many beautiful items to give to others. I’m soon to retire and cannot wait to have more time to knit. Happy crafting Everyone!!! I have been knitting since I was 10 years old. I will be 92 in a few days and I still knit everyday for friends and children. I enjoy it and I like challenging patterns. Besides that for a change of pace I do counted cross stitching, crochet and try watercolor painting. Love this article, and I believe every word. I also enjoyed all the letters and stories from other knitters. I’m 75 years old, and hope to be happily knitting for as many years as God grants me. Happy knitting to you all. I’ve been knitting for more than 40 years and I can assure anybody that knitting, gives a sense of fulfilment, relaxation, peace and comfort that no medicine, no therapist can achieve. Knitting is medicine for your soul, mind and body. I’m a self-knitting learner and all this years (not all a bed of roses), this has been my faithful magic pill…only God knows why I choose knitting as my favorite thing to do, because nobody around me does it, but I’m thankful and in peace. It has been lovely to read all the comments about the positive benefits of knitting. I started knitting when I was 6 and I am now 65. I have never had a break from knitting. The colours and textures of the yarn, the gentle rhythmic click of the needles, the joy of the complex pattern and the quiet mindfulness of a time to oneself. I broke my wrist after slipping on ice four months ago, but it didn’t stop me knitting-I just changed from straight needles to circulars. Now I am out of my cast-daily knitting is helping me get the strength back into my hand and fingers. I also teach others to knit-it’s an absolute joy to pass this skill and passion onto others. All is right with my world when there is wool on the needles. Keeping on knitting everyone!!! Yes to all the above. I’m now 83 and still knitting. I wouldn’t know what to do without this wonderful craft. I also quilt and sew. Love doing home decor projects. I taught both my daughters all of these crafts. We are busy beavers most of the time. How wonderful to read about so many keen knitters of different ages. I can’t remember learning to knit or who taught me, but I’ve always loved it. When I was young I knitted fair-isles and aran patterns, now I knit simple things, mostly baby hats and twiddle muffs for dementia sufferers, and scarves for charity shops.I come from a family of very competent knitters, and feel I am following in their footsteps.I belong to 2 knitting groups but also am very happy knitting at home. I feel sad for the knitter whose nearest and dearest do not encourage her. I have been a crocheter off and on for years. Then I bumped into a pattern I wanted to make – a very simple triangle shaped scarf using scraps of yarn, It was a knit pattern. So I went online to Amazon and ordered knitting needles. Next I picked up two crochet hooks and turned on YouTube. I learned to knit (yes, using crochet hooks because I am NOT patient). When my knitting needles arrived I was ready to go. Since then, I have made so many of those simple scarves by request of friends and hosted a class on the pattern and choosing the yarns. Now I am making sweaters. Yes, also did the red hats for February (American Heart Association) and more. I am having fun mixing textures, colors and knitting with my crocheting. My husband just does not “get it” but I feel like I have missed an opportunity when yarn is not in my day. I find that when I’m knitting, not only am I relaxed, but it’s great for my arthritis. I find that my fingers move more freely in the winter now than they used to do. Not only that, but it’s a great weight loss tool when I’m knitting because I can’t eat while I’m knitting! I can multi task though and watch TV at the same time….dependent upon the complexity of the pattern of course. I have been knitting since I was around 10 and absolutely love it. I love a challenge so Aran knits and Fair isle are particular favourites, as are the knitted toys on your site. I make a lot of these for when my children have children and as gifts for friends’ children. I have been knitting since I was 7 years old. My mother taught me how to knit and crochet. In India we used to knit sweaters. I came to US in 1962 had two daughter and knitted sweaters. I am a real estate agent since 1986, I was very active and stressed, then I met a client who crocheted baby blankets and I started to crochet and knitting. I felt very relaxed after complicated deals, clients, Escrow’s. Love my passion of knitting and crochet. I have made lots of hats for charity. My baby blankets have gone to Uk, Austria, Italy, Switzerland, India and of course US. Some the babies’s babies are using them. It gives me great satisfaction and I always say when I knit every stitch has my love in it. I have encouraged few of my friends who were going through depression. They were so happy when they donated their work to charity. I will be 80 this year and Hope I keep knitting until I go. Knitting has been an absolute godsend for me while dealing with breast cancer and months of treatment. Depression could have swallowed me up some days but focusing on my knitting projects and waiting on new yarn which I ordered online was and still is the light at the end of the tunnel.. I love the self satisfaction I get when I complete a project and enjoy the reaction from family members when they receive a handmade gift. Our spare room is swamped with boxes of yarn but I don’t care..it keeps me happy and sane!